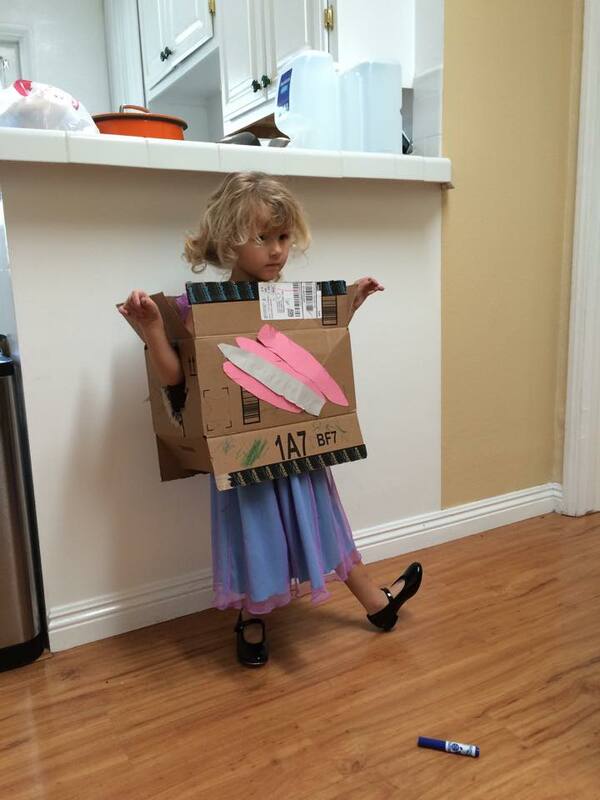 She found a box, then she found her tap shoes. She decided she needed to make up a dance. 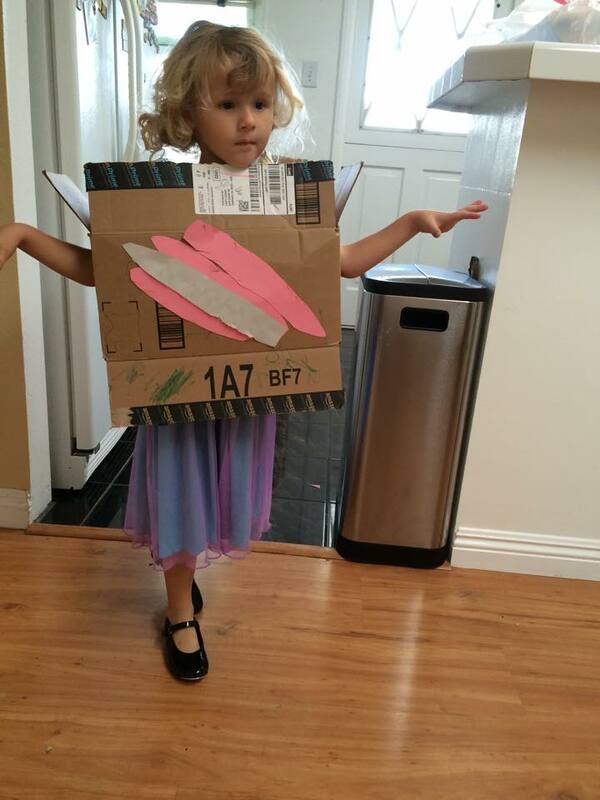 Then said the box was her costume, and we had to color the box. Then she decided it is a turkey costume so we had to add feathers. She is now choreographing the dance.